Discover apps, games, mobile & tech news. 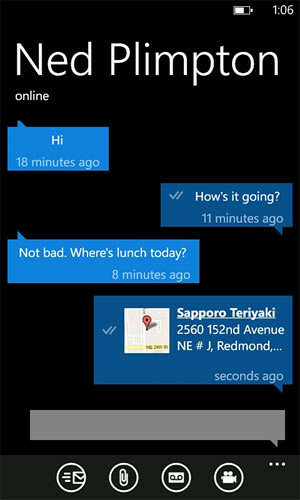 The multiplatform chatting app that everyone loves, WhatsApp Messenger has updated its version for the Windows Phone to v1.9! One Response to "WhatsApp For Windows Phone Updated To v1.9"